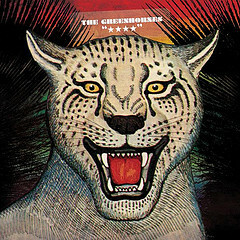 On November 9th, 2010, the Greenhornes (aka Craig Fox, Jack Lawrence and Patrick Keeler) will release their first studio effort since 2002′s Dual Mono — **** (Four Stars) – via Third Man Records. Produced by the band in conjunction with John Curley, **** will continue the trio’s long-standing tradition of sturdy, sweaty good time Heartland rock ‘n’ roll. 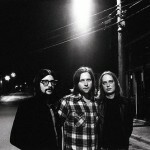 Lead single “Saying Goodbye,” has a dark-pop edge, and album standouts “Song 13″ and “Cave Drawings” are said to expand the Greenhornes’ patented 70s leanings with larger doses of mood and psychedelica. Noted film auteur Jim Jarmusch contributed the album’s liner notes, and the limited edition **** LPs will be pressed on four different colors of vinyl. Since forming in Cincinnati, Ohio in 1996, the Greenhornes have released three studio albums, an EP and countless singles.